The piano is a very versatile instrument. Once you know the basics, you can play classical music, rock music, pop music, blues, jazz and many other kinds of music on a piano. 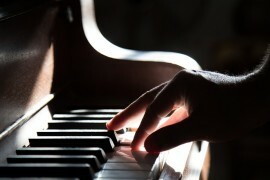 While it does take years to build skill to become a proficient player, learning to play the piano really isn’t difficult. 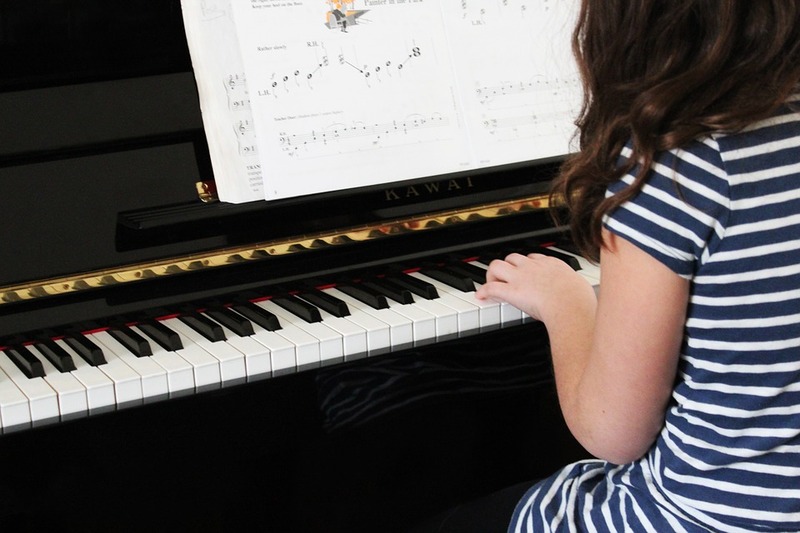 Follow these steps to master the basics, and you can get on your way to becoming a pianist. Before you can begin to play piano, you need to become familiar with the keys. 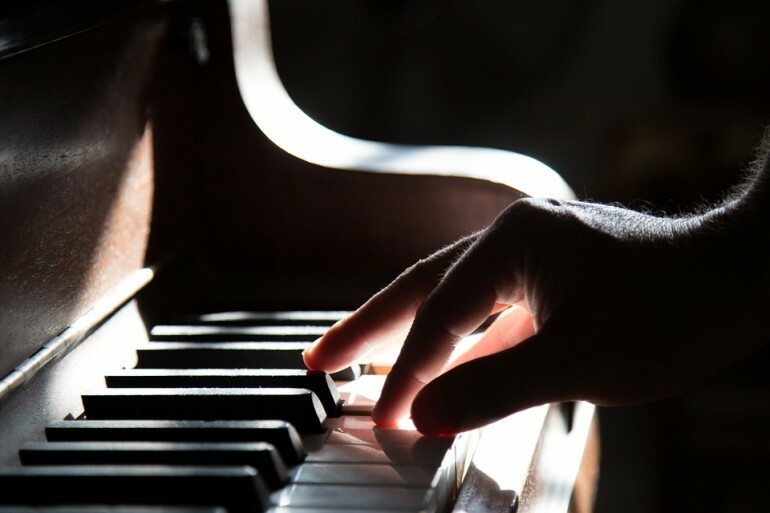 There are 88 keys on a piano, but if you look at it closely, you’ll see that it is made up of groupings of two black keys and three black keys with white keys placed in the middle. Look down at the piano and find one of the areas where there are two black keys. The white key between the two keys is “D” and the white keys on either side are “C” and “E.” The white keys that follow the “E” are “F”, “G”, “A” and “B.” Then, you come to another “C” and the white keys repeat. The black keys on the keyboard are used to play sharps and flats. A sharp tells you to play the key immediately adjacent to the note on the right. So for example, C sharp would be the first black key in the groupings of two black keys. A flat tells you to play the key immediately adjacent to the note on the left. For example, a flat would be the middle black key in the groupings of three black keys. Every black key is both a flat and a sharp. For example, the second black key in the groupings of two is both D sharp and E flat. White keys may also be flats or sharps. The B key is C flat, while the C key is B sharp because those white keys are placed side by side. 1. Put your right thumb on middle C.
2. Put your right index finger on D.
3. Put your right middle finger on E.
4. Put your right ring finger on F.
5. Put your right pinky on G.
6. Put your left thumb on the middle C.
7. Put your left index finger on B. 8. Put your left middle finger on A. 9. Put your left ring finger on G.
10. Put your left pinky on F.
Now, your hands are properly positioned to play the piano.